Step 2 Select Data Recovery Mode to continue. 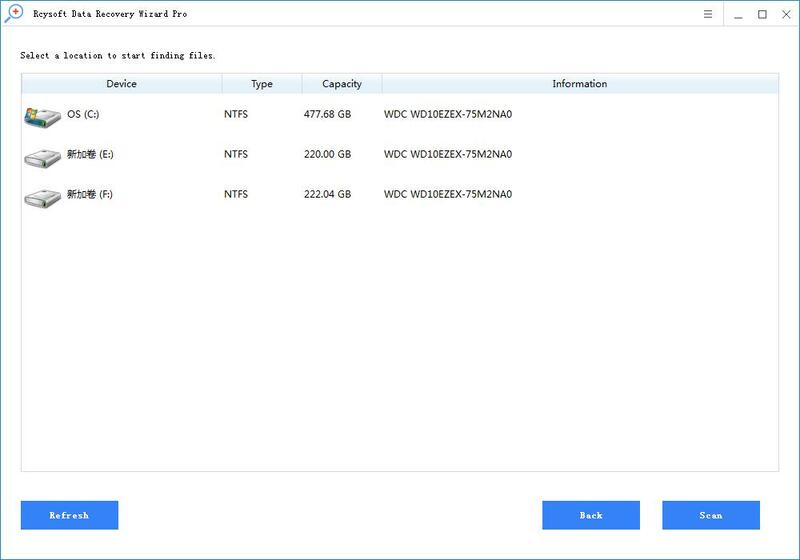 Quick Recovery – It will quickly scan your drive or device to find deleted or recently lost files within a short time. If you can't find what you want, please click "Deep Recovery" to find more lost files. 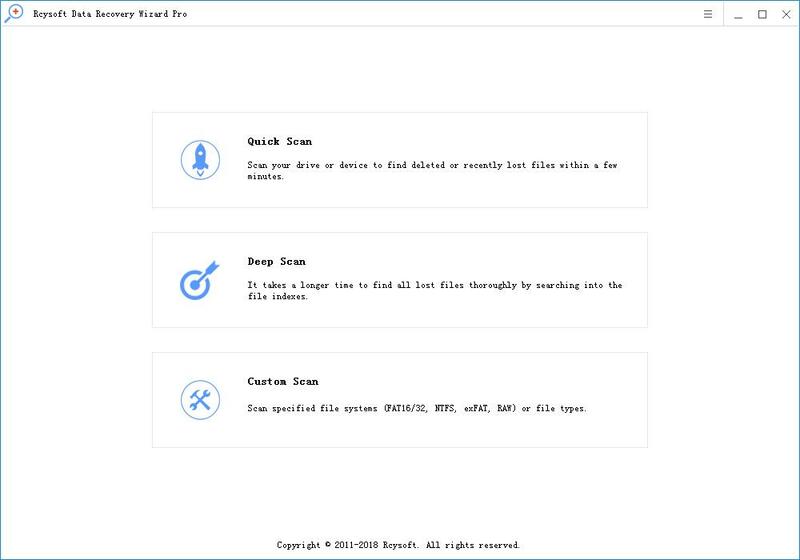 Deep Recovery – It will deeply scan your drive or device with advanced scanning technology to find every recoverable file. It performs sector-by-sector scanning, so it will takes more time and find much more lost files. Custom Scan - Scan specified file systems or file types like video, photo and document. Step 3 Select the disk/partition where you lost data, click 'Scan' to start file scanning. 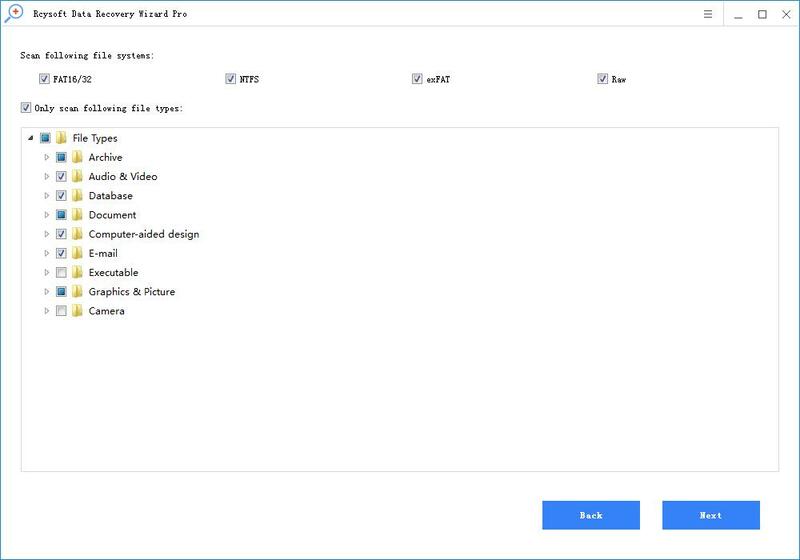 Step 4 After scanning, preview all recoverable files to check the data recovery quality in advance, then select the desired files and save all recovered files by clicking "Recover". 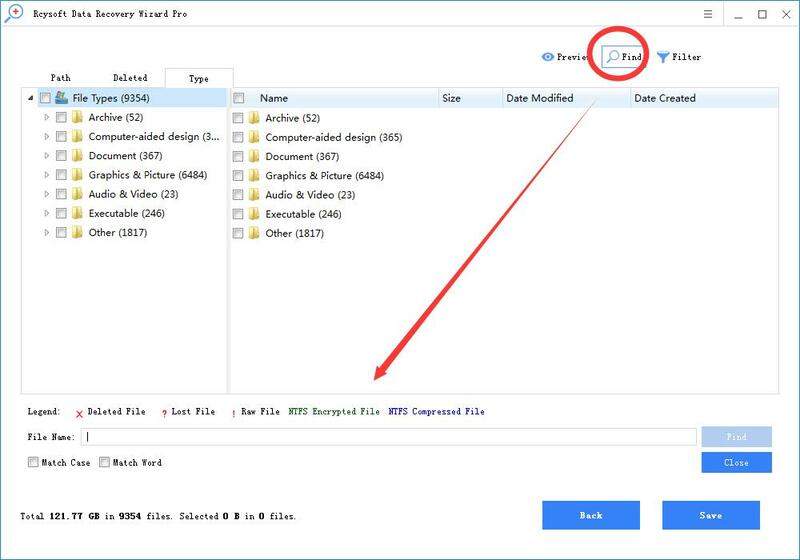 This option allows users to input the specific file name so as to quickly find the needed file. Just click Find button, type the file name and click Find finally. For an exact search, users can check Match Case or Match Word. The Match Case option requires users to pay attention to the capital and small letter of file name. The Match Word option requires users to type the complete file name. If there is more than one file that matches the searching condition, after clicking Find button, users can see Find Next button. 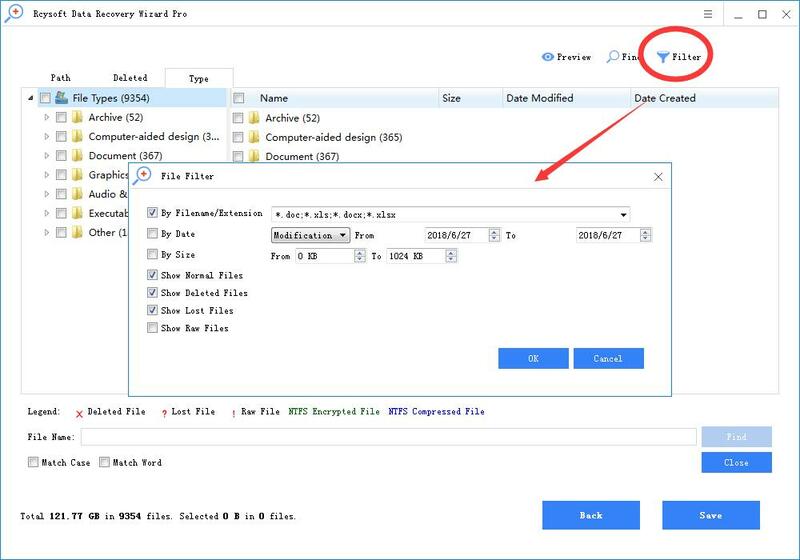 This Filter option enables users to search files by filename/extension, file size, creation or modification date. 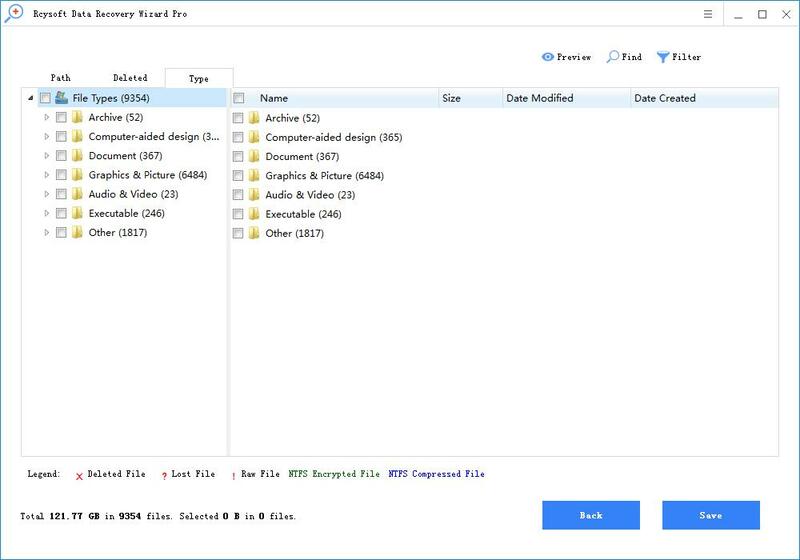 Besides, users can also choose to show deleted, lost or normal files according to their needs. Just click Filter button, and make some advanced settings in the pop-up window.